Thailand is a mecca for backpackers, and its largest cities are nothing less than paradise for those who are all about the nightlife. But there is another side to Thailand, one that doesn’t have as much to do with nightclubs, street food or natural wonders, but the culture and people of the country. Thai culture has been influenced by ancient India, China and Cambodia, and it has influenced them too. The essence of Thai culture can be glimpsed at museums and galleries, but the best way to experience it is to attend some of the most important events in Thai culture: festivals. There are many festivals throughout the year, and whenever you travel to Thailand there are high chances that you can attend one. Here are 5 great festivals in Thailand that tourists will just love. Loy Krathong is one of the most popular festivals in Thailand, celebrated throughout the country, and even in parts of Laos and Burma. This is a yearly event which takes place on the night of the full moon in the last month of the Thai calendar, which is usually November. Loy Krathong is a colorful festival, and it is celebrated by floating lotus-shaped receptacles on water. 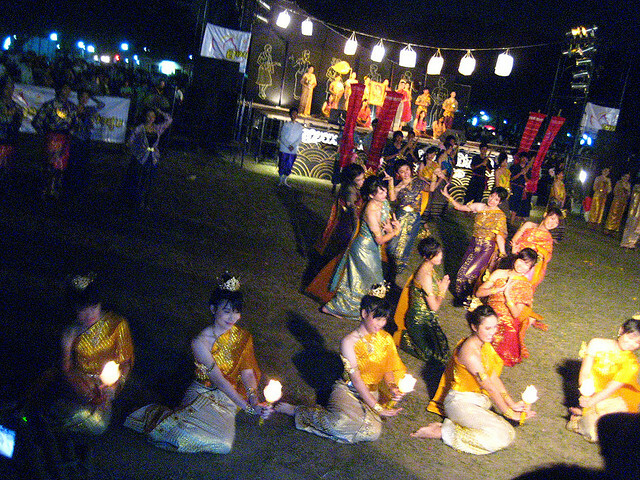 There are all sorts of activities during the festival, like beauty contests and games. April 13 through 15, Thais celebrate the start of the New Year. Songkran means the ‘water festival’, because water plays an important part in the celebrations. 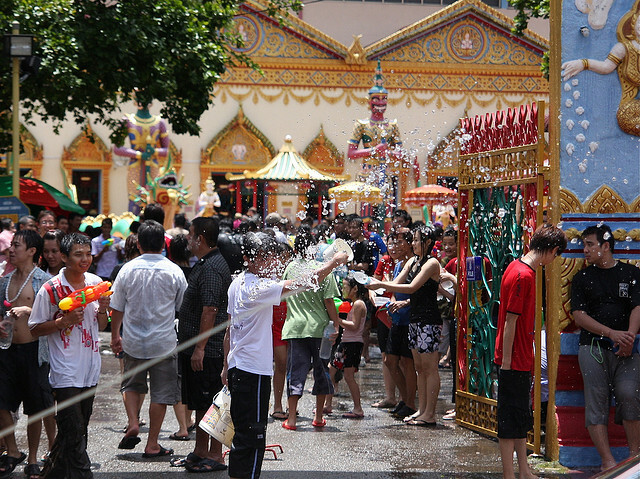 To put it very simply, Songkran celebrations involve huge water fights, and everyone is invited. The young pour scented water on the hands of the old, random people pour water on each other and statues of Buddha are washed with water. This is a festival for cleaning and almost everybody participates. The best Songkran festivals take place in Chiang Mai, so mark it on your to-visit list in April! 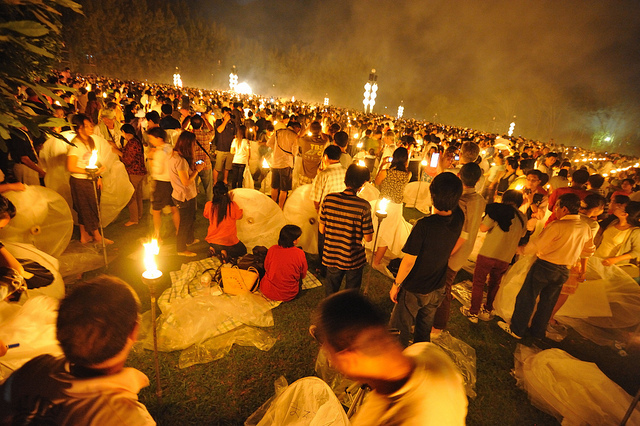 Pee Ta Khon, or the Ghost Festival, is a fascinating group of festivals held in Dai San, Loei Province. There is no fixed date for the event – they can take place anytime between march and July – because the dates are chosen every year by the town’s mediums. 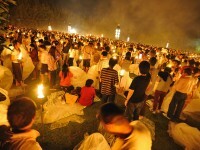 The point of the ghost festival is to ask the god of the river Mun to protect the town. The people play games and don colorful masks made of coconut palm tree trunks. One of the most fun and entertaining festivals in Thailand is the Rocket Festival, Bun Bang Fai. Although it was celebrated by the Lao people only, today it is widespread in Northern Thailand. The three day festival takes place in the middle of May, and the celebrations include races, games, dances and launching home-made rockets. The Candle Festival is one of the 5 great festivals in Thailand, and the most elaborate traditional festival in the country. The festival takes place around July and it features gigantic candles being paraded around the city, each one representing a different temple.